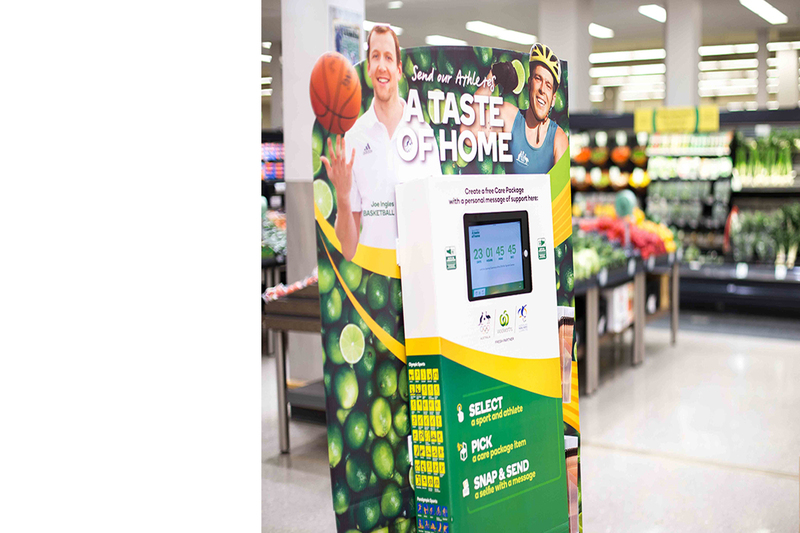 As the official Fresh Food sponsor of the Australian Olympic Teams, Woolworths wanted to show love for their nation’s athletes and put fans at the heart of the experience. 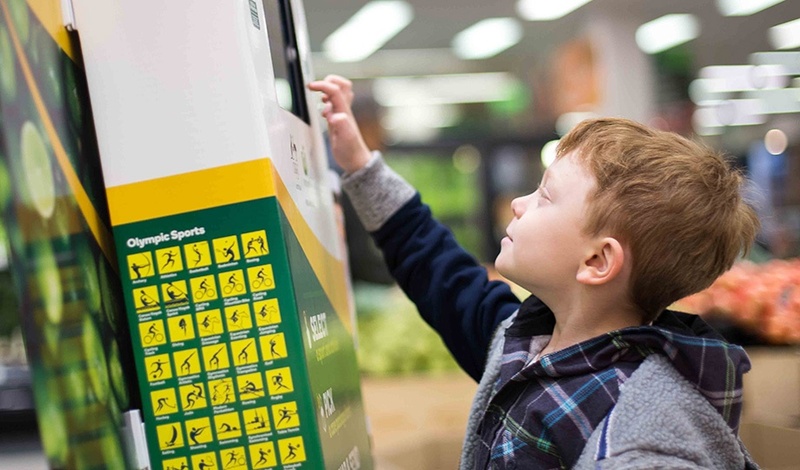 We leveraged Woolworths national footprint of over 950 stores and orchestrated a grassroots campaign, inviting fans, friends and families to show their support for Team Australia by sending personalised ‘care packs’ to the 800 Australian athletes in Rio. 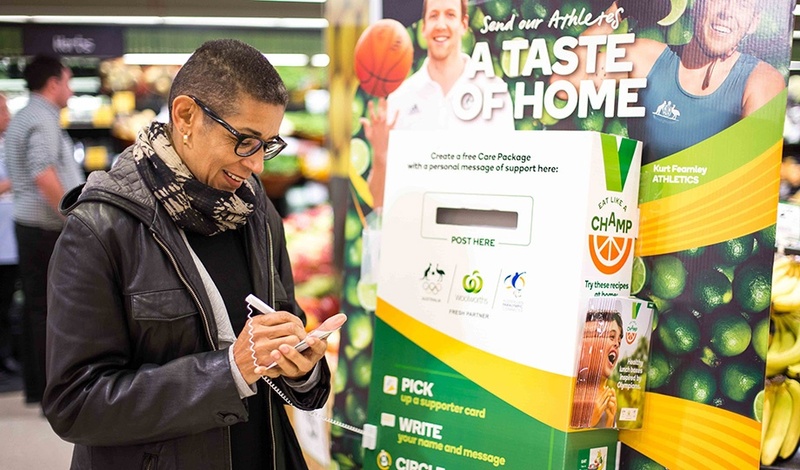 We utilised broadcast, digital and social media. 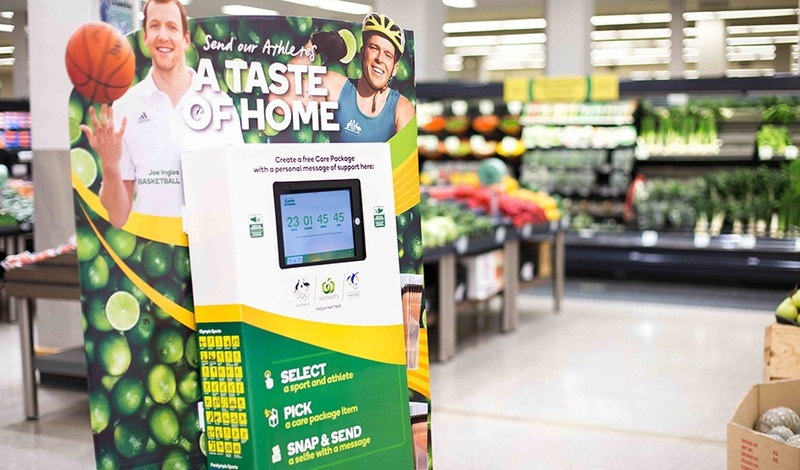 Within each store, ‘Taste of Home’ branded displays and digital kiosks allowed shoppers to choose one of 20 iconic Australian products to send to the athletes. 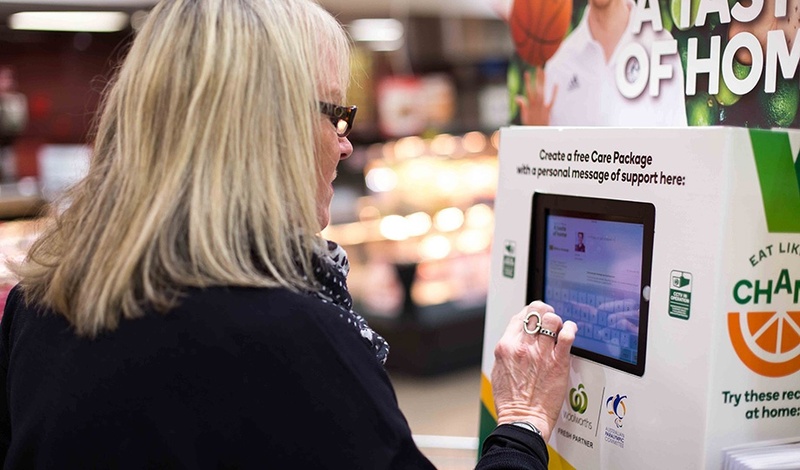 Shoppers could write a personalised message and take a selfie to share alongside their message. Each athlete received these within a personalised book in Rio, along with their care pack.